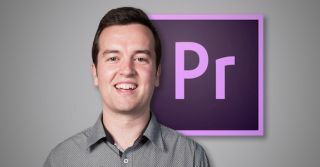 Get to grips with Adobe's Premiere Pro CC with this in-depth training course. If you're looking to add a new ability to your resume, video editing a great place to start – and Adobe Premiere Pro CC is the perfect tool to learn. Pick up a course that will give you the skills you need, on sale right now for just $21 (approx. £17)! When it comes to video editing, there is no more trusted tool than Adobe Premiere Pro CC. This comprehensive course will teach you everything you need to get started on editing – whether it's as a hobby or career. With 59 lectures and over 5.5 hours of actionable knowledge, you'll pick up the skills you need to make the most of this essential video editing tool. Put it to use on home videos, take the next step at work, or launch a whole new career with your new skillset. The Adobe Premier Pro CC Masterclass usually retails for $200. You can get it on sale right now for just $21 (approx. £17). That's a savings of 89% off the retail price for a course that will have you editing video like an expert. Grab this deal today!